Sedona is a beautiful town surrounded by red rock buttes, steep canyon walls, and natural forest. The scenic beauty of this town with various amazing places to visit and adventures to encounter makes it the perfect vacation destination for tourists. Tourists visiting Sedona are guaranteed appropriate portions of outdoor adventure, soothing relaxation and pampered luxury. There are elegant spas and resorts, exquisite art galleries, restaurants and wine tasting rooms. Sedona dining offers many culinary options. Visitors coming to Sedona originate from all parts of the world. Sedona dining accommodates all tourist from casual cafes to white tablecloth dining rooms, health conscious vegetarians to cowboy-style steakhouses, spicy Southwestern to Italian as well as everything in between. Every visitor requires a heavy hearty and healthy breakfast to have enough energy needed for physical activities of the day such as biking, running, riding and hiking among others. Some places open early to offer delicious breakfast which can be French toast crusted with pecans, southwestern-accented eggs Benedict with chorizo and jack cheese in a tortilla cup, just to name a few. Sedona has a vast selection of restaurants that offer different cuisines. Some of the best restaurants include The Hudson, which is an American Eatery, Creekside Restaurant, Golden Goose American Grill, Hiro’s Sushi and Japanese Kitchen, Chocola Tree Organic Oasis, Che Ah Chi among many others. These restaurants provide breakfast, lunch, dinner and desserts at excellent prices and excellent service. The following provisions are also available in Sedona dining: coffee/tea, cocktails, brews, wine, health food/farmers market, wine tasting and sweet treats. Sedona dining gives an enjoyable and enriching experience. • Having meals in different restaurants. This enables visitors to have a taste of delicious meals prepared using fresh produce from local farms by various chefs in Sedona. • Trying out new cuisines. Sedona has visitors from all around the world. They make tourists feel accommodated by providing varied cuisines from various countries. This is an excellent opportunity to try out a meal from different countries and cultures. • The enchanting and savoring view. 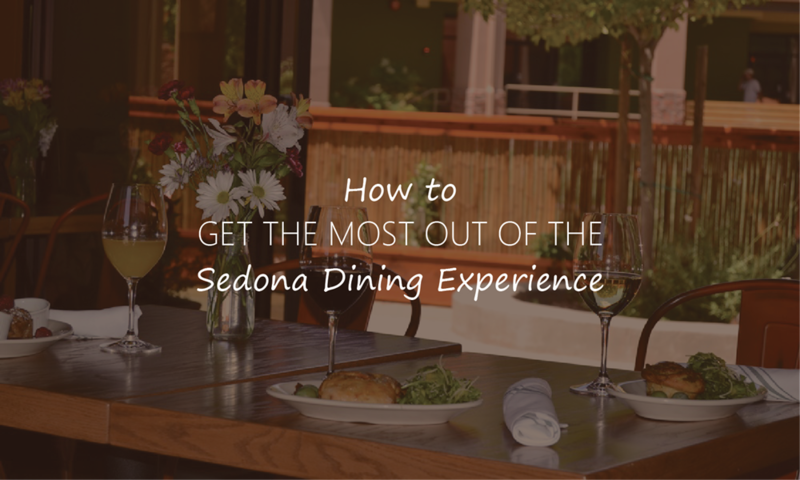 Sedona dining is not restricted to a closed space. Visitors dine on Creekside, on a patio in the shadow of red rocks or even at a sidewalk table in the midst of bustling historic district. These views create amazing memories which visitors remember for a long time. In addition to the fabulous Sedona dining, comfortable accommodation is also provided in cabins, hotels, motels, resorts, vacation rentals and RV camping. Sedona has also developed a global reputation as a place of enlightenment. Many healing practitioners are always ready to assist visitors on their spiritual quest including massage therapists, psychics, spiritual counselors, life coaches and shamans.